Today, people are uniting to commemorate the 100 year anniversary of the Battle of the Somme. 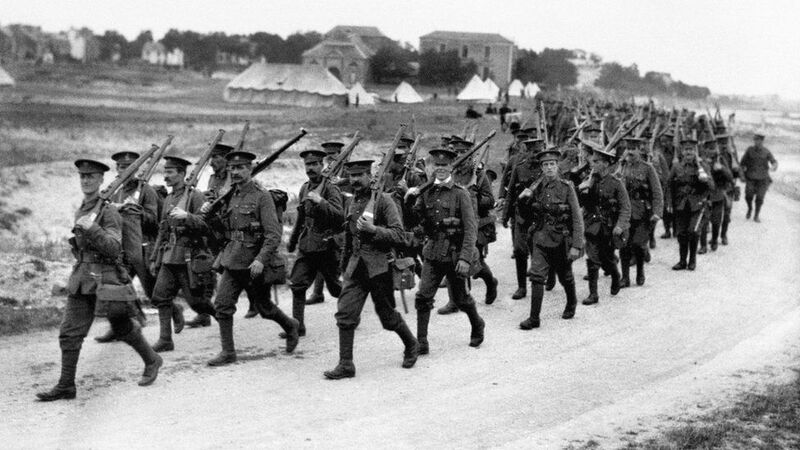 600,000 British soldiers fought for our country – 20,000 of whom never returned. It was the bloodiest day in our history. This tragic event will be acknowledged and honoured across our country with 2 minutes of silence. 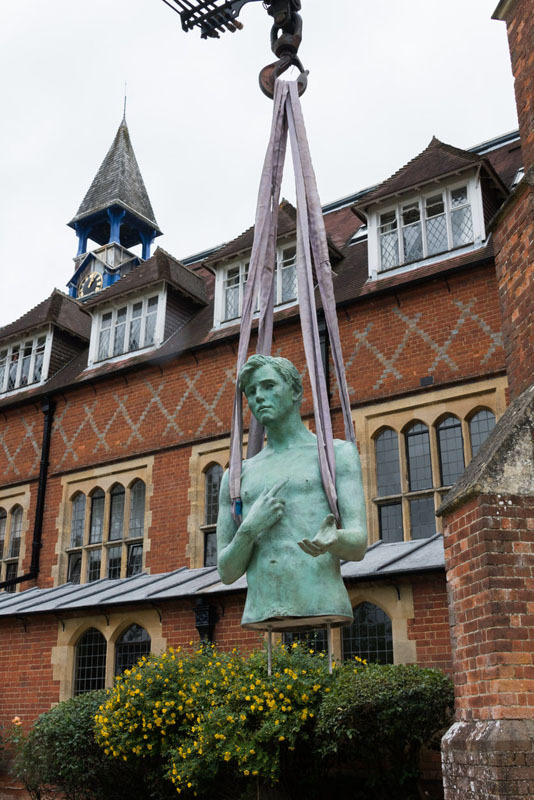 One of Scream Blue Murder’s clients, Cranleigh School are paying quiet tribute by the unveiling of a specially commissioned war memorial and service to remember those that fought so bravely and lost their young lives. Surrey’s local media are leading this morning with Cranleigh School’s commemoration to the Somme’s fallen. 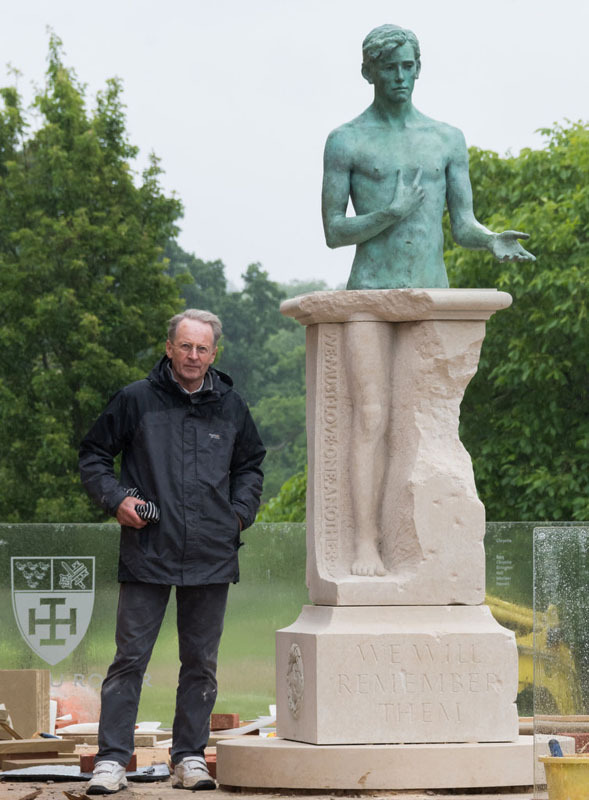 The wall memorial, designed and sculptured by former Cranleighan, Nicholas Dimbleby, has been formed from cast bronze and stone. 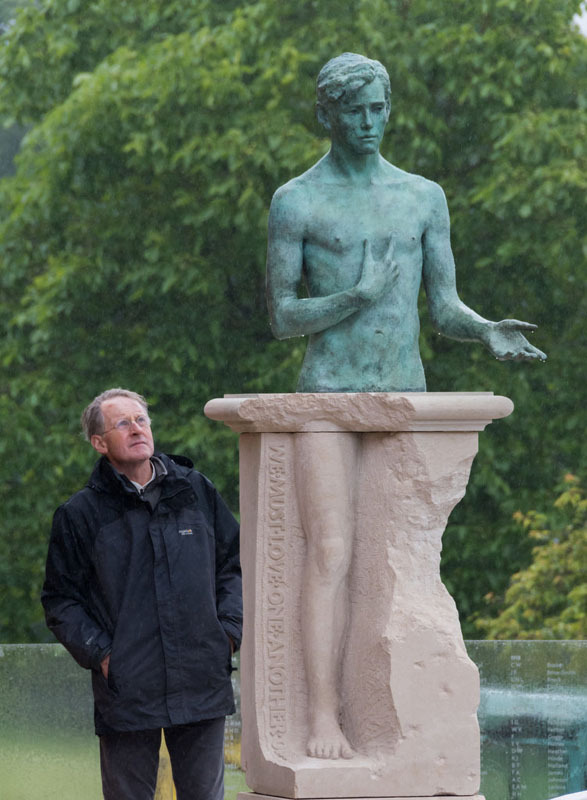 Nicholas Dimbleby is one of the country’s foremost figurative sculptors. 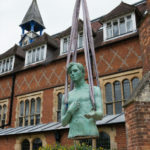 On leaving Cranleigh he began studying figurative sculpture at Edinburgh College of Art, followed by a more abstract period at both Goldsmith’s and Central St Martin’s where he undertook a degree in Fine Art. Soon after, while working as assistant to William Pye, he returned to making pieces derived from the figure. 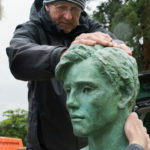 His sculptures are modelled in clay, from which a mould is made and then cast into bronze or a variety of resin and fibreglass materials, depending on the nature of the image and the setting. His best known work is Whistler on the Southbank. Nicholas still uses a foundry in Surrey but lives in Devon with his wife and family. 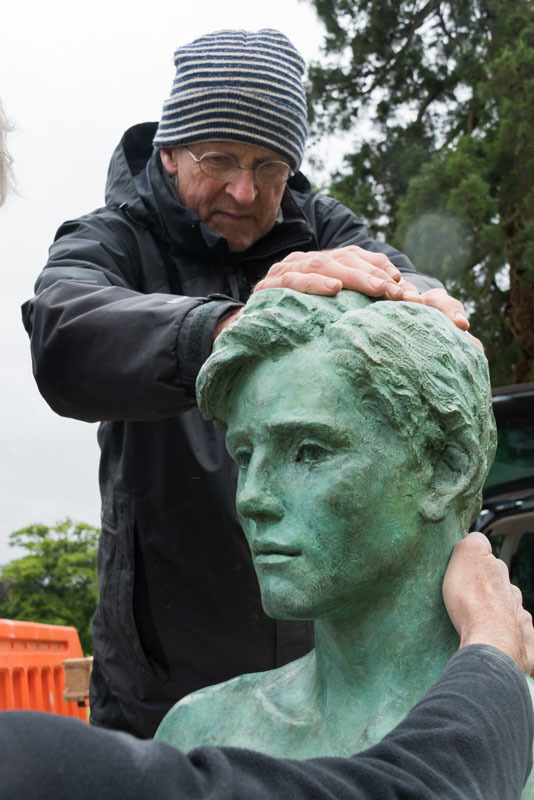 Every commission is unique, but there is a burden of responsibility with a war memorial that perhaps weighs more heavily than with previous work. That this was in a school helped to focus my mind and made the concept in some ways less constrained. I had an age group in mind and the freedom of working on a ‘private’ campus. This was not to be a ‘generic war memorial’. There was a need to cover certain aspects being a contemporary war memorial which must also engage with students of today for whom the desire for peace greatly outweighs the ‘nobility of death in battle’ etc. 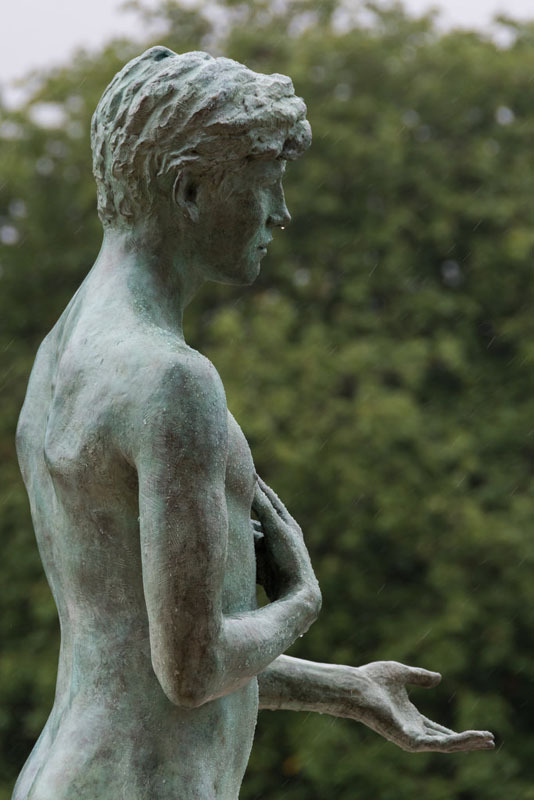 The sculpture therefore is intended to convey leaving, vulnerability, service to the outside world, and the devastation of war. 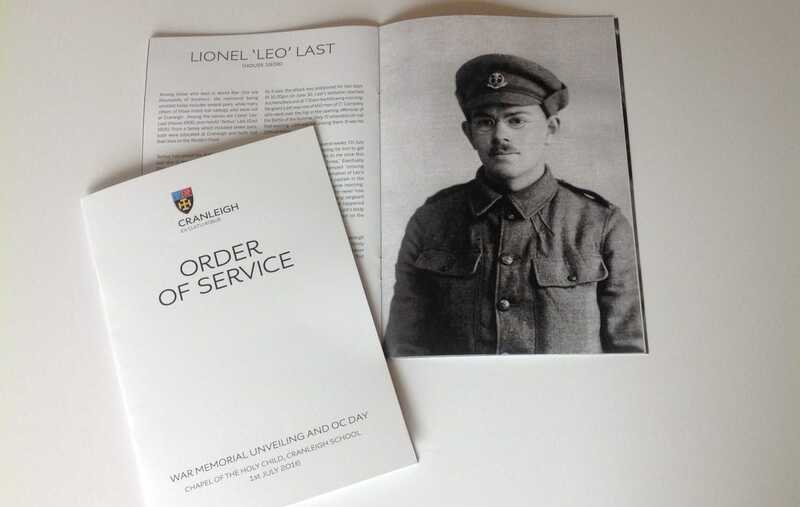 Scream Blue Murder feel honoured and privileged to play just a tiny role in the memorial service by designing and producing the Order of Service booklet for today’s event, culminating in the unveiling of a lasting and deeply thought provoking sculpture. This entry was posted in News and tagged Booklet, Design, Print. Bookmark the permalink. ← Better browsing: image size matters!